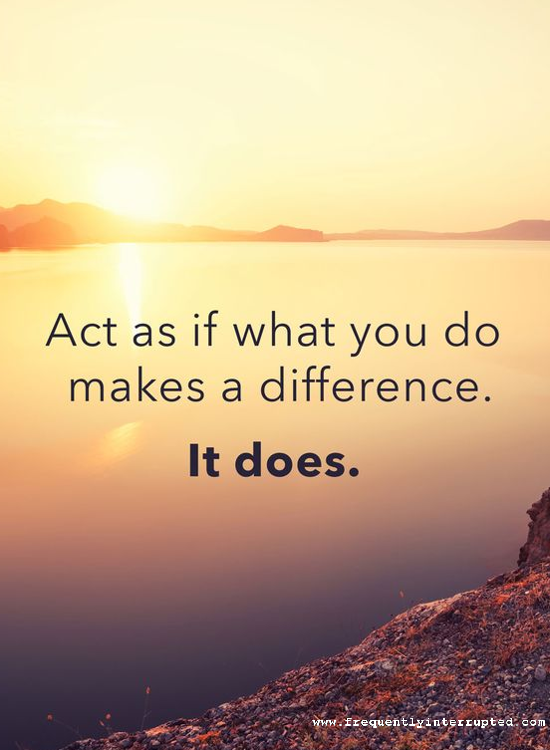 Everything you do makes a difference, no matter what. The decision you have to make is what kind if difference it will be. Choose your difference, and live it. That is how we make a better world.